At Abine, we’ve been hard at work for over a year on a new privacy tool, and it’s finally time to share it with you. World, meet MaskMe. Until now, you haven’t had much of a choice in whether you give out your real personal info online. Whether you’re shopping, signing up for accounts, entering contests, or whatever you do on the web, it seems like every company demands your contact info just to use their services. And when you hand over your info, suddenly you’re exposed to all kinds of risks, like spam, data breaches, or profiling. 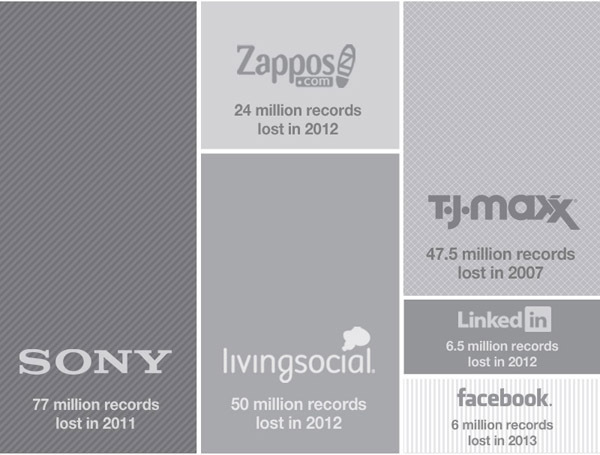 Every day, there’s another story about how companies are losing, abusing, or misusing your data. Companies want desperately to know the real you because it benefits them, but why would you want to show yourself? There’s no benefit to you, the user, to giving out your real info online. Well, now you don’t have to. MaskMe lets you easily create aliases—or Masks—of the personal info that matters most: your credit card, email address, and phone number. They forward to your real contact info, so you’ll still get all your messages, but you can block them later. Use them just like you normally do when shopping or filling out forms, but companies never get your real info. With MaskMe, we’re shifting the power of the web back to you, where it belongs. If you start getting spammed at a Masked Email address, block it with one click. If you bought something on ShoppingSite.com with a Masked Credit Card and then they have a data breach, no worries: your purchases were never linked to your real credit card. If telemarketers start harassing you on your Masked Phone number, one tap from within MaskMe and they’re gone for good. Today, we’re launching MaskMe with free unlimited Masked Emails, safe passwords, and account storage (including on the cloud) as an add-on for Chrome and Firefox. 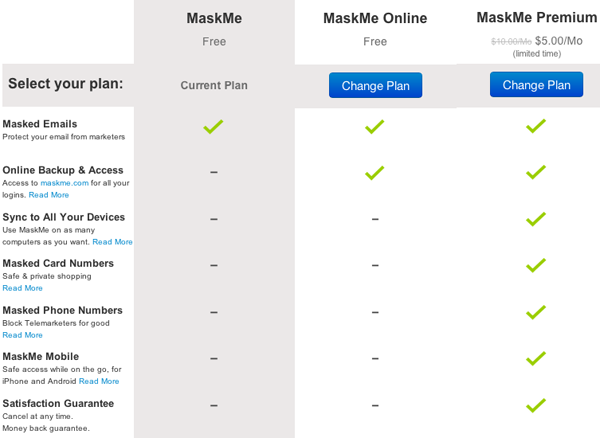 Some of the powerful features, like Masked Phone and Masked Credit Cards, require a $5/month subscription to MaskMe Premium. MaskMe Premium also lets you use the MaskMe Mobile for Android and iOS, so you can access your info anywhere you are. MaskMe has great privacy features, but it’s bigger than that: it makes browsing better. Logging into websites is faster. You won’t have to get up and grab your wallet because MaskMe will autofill credit card info. You can sign up for new accounts without fear of spam, knowing you have an unsubscribe button that always works. We think MaskMe really is the next big thing, not only for privacy, but for controlling your own online life. Now you get to interact with companies and websites on your terms, but still get all the benefits of the web that you want. Please give MaskMe a try today and let us know what you think—we love to hear from you, and we take your opinions and feedback very seriously. Editor’s note: This is a sponsored post by Abine – The Online Privacy Company. The makers of the free DoNotTrackMe browser extension and other privacy related products.